Expired 1wk ago . Last validated 3mo ago . Used 6 times. CLEIRIS This is a fabulous deal. Simply enter the promotional code during the checkout process to apply the discount. There may be some exclusions. J.B. Lepaje Andarcia I am validating that this deal work as described. 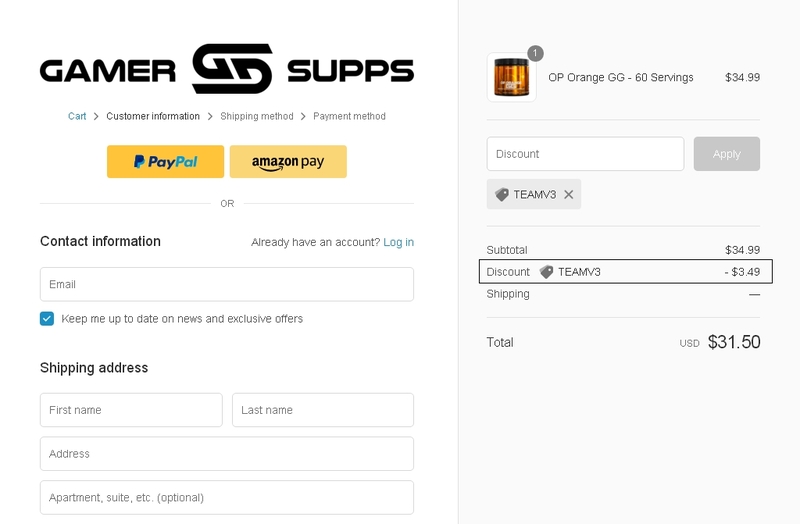 Just Enter code and Get 10% Off Any Order at Gamer Supps. weslyngson macias This coupon is valid and working as described. 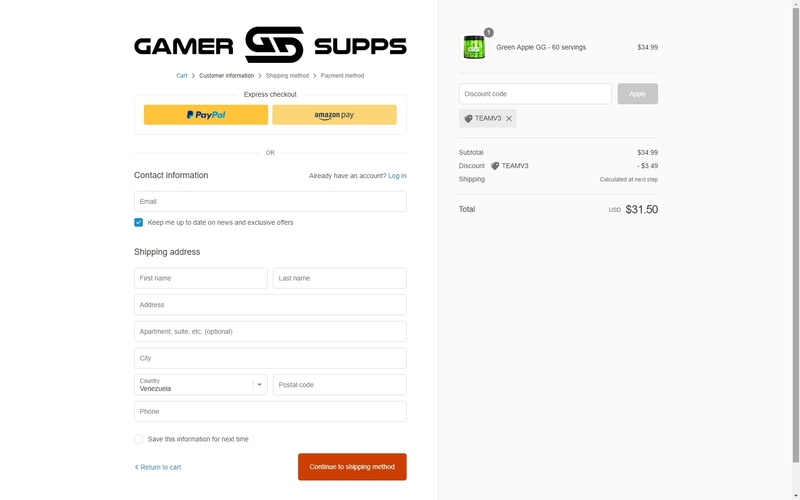 Select your product, go to the shopping cart, enter the promotional code and save 10% Off Any Order at Gamer Supps. David This deal works as described. 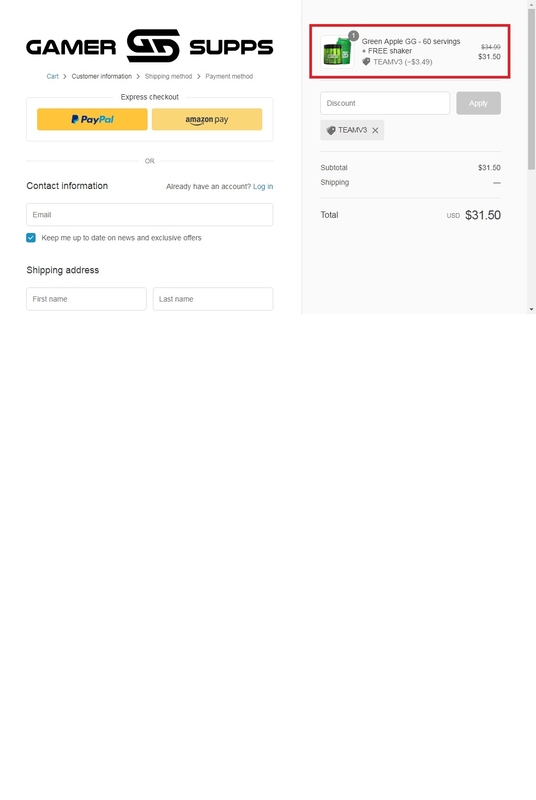 Go to the web site, add your item to cart, proceed to checkout, enter promo code <TeamV3> and get 10% off any order at Gamer Supps. Gabriela Brito I am re-activating this expired deal. I verify and it works correctly as described, Simply enter the promotional code TeamV3 and enjoy 10% off on your order. Guillermo Garcia I am re-activating this expired deal. I will update it and validate that it works. Save 10% off any order at Gamer Supps at site wide. Simply enter the promo code during the checkout process to apply this discount. Johanna Flores This deal was verified and it is working as described. Select the items and enter the promo code <TeamV3> at checkout to get 10% Off Any Order at Gamer Supps.